What's New at Koi Water Garden. Koi carp, the very best Japanese Koi offered at realistic prices, Koi filters, Koi pond pumps, Koi foods, Koi medications, Koi pond heating . pond lighting - everything for the Koi keeper. Check out our what's new page here for details of all the latest on offer - new products, special offers and new Koi shipments. Our site is updated at least twice per week, and all Koi shown as available for sale on our Koi stocks web pages are available. We specialise in the more unusual and rarer Koi varieties. More unusual Koi varieties purchased normally include Doitsu Go Sanke, Goshiki and Gin Rin Goshiki, Budo and Ai Goromo, Kikokuryu and Beni Kikokuryu, Kumonryu and Beni Kumonryu, Gin Rin Soragoi, Gin Rin and Doitsu Ochibe Matsakawabake and real Kikasui. High grade Tosai (one year old Koi) are plentiful in the Spring and we always purchase baby Koi in a wide selection of varieties at this time of year. In Autumn, most Koi purchased are two and three year old and varieties normally available from our stocks include those listed above as well as Doitsu Yamatonishiki, Doitsu Hariwake, Doitsu Kujaku, Yamabuki, Purachina, Shiro Utsuri, Kujaku, Hi Utsuri, Chagoi, Shusui and Asagi. We are always looking for Doitsu and Gin Rin variants of most of the varieties above, and indeed, anything rare or unusual which is high quality and sensibly priced. All fish are fully quarantined prior to being available for collection. So don't delay, telephone ,fax or e-mail for stock lists and further details. Phone/Fax 01494 882600. All our Koi stocks are hand picked by us personally and we do not purchase or import Koi on consolidation. 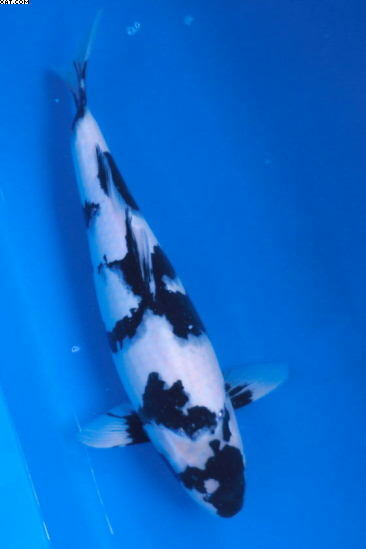 If you are looking for a special 2 year (or older) Koi, then please contact us with your requirements and we can try to find what you are looking for. Just tell us the variety, pattern and most important - your budget and we will do the rest! We are sure you will not find better high grade Japanese Koi at the prices offered anywhere in the U.K. 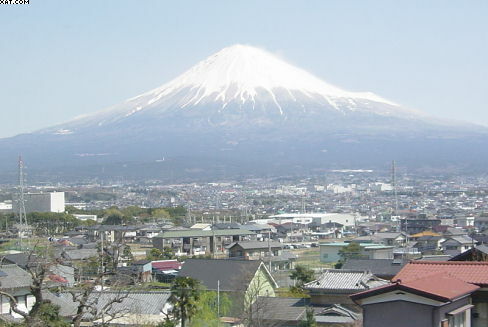 When we visit Japan on our regular buying trips we select from trusted breeders in Niigata as well as other prefectures. It is not only the quality of Koi which these trusted breeders produce which we look for, but sensible pricing policies, husbandry and Koi health which are of paramount importance. We realise that not every hobbyist can afford 1000 pounds or more for a high grade Koi! We are stockists and distributors of a wide range of dry goods including complete filter systems and a wide range of Koi foods, and we are specialists in the supply and installation of our all new KoiOzone range of Ozone systems - this is the first comprehensive range of ozone equipment available within Europe which has designed and produced for Koi ponds. These are among the best systems in the world today. We are also stockists of all of the foods from the Japan pet design range, including Yamatonishiki, Medicarp and Shori, as well as many foods from the Medikoi range. Also now stocked are the Saki Hikari premium koi food range. Check out our Dry Goods Pages for prices on our food range and other products. We are distributors of Oase pumps and a superb range of Drum filters, and the fabulous Blue Eco DC pumps, which we believe are the best on the market in their respective classes. We also stock Secoh air pumps - simply the best, most powerful AND reliable pumps on the market and fully waterproof, and now the best value for money electronic UV's - the Yamitsu and Evolution Aqua electronic range. New Koi shipments will be on show from around Easter every year in Spring and early November every year so watch this web site for further details - in the meantime we will always have some great Koi to offer you from both our Spring and Autumn buying trips. - details are contained on our Koi pages and are bang up to date - we promise - if it says its for sale - it is!! For details of Koi purchased on our latest buying trip to Japan please click here. We stock specialist koi health products such as Propolis, Fluke and Lice solve to keep your koi free of disease and in tip top condition. Check out our Koi Health Products page for these and other associated products. Keep in touch with our latest buying trips to Japan click HERE to see what we have purchased and reserve your Koi before we even get home! See our NEW page on great deals on combination pack purchases of Saki Hikari Koi foods - the best food in the world now at stonkingly good prices! See the fabulous new Seneye real time water quality monitoring systems - monitor pond conditions wherever you are, get alerts and stay in control! Real time water testing is here!. Follow us as we build a new, Eco friendly Koi house using state of the art heating, energy saving construction methods and filtration. See our new page on Current Special Offers. We are now stockists of the latest DC inverter air source heat pumps - the most eco friendly and cheapest way to heat your pond - see our page on pond heating for more information. See the amazing new iDip dgital testing system and a range of testing instruments available. See our page on Koi >Koi books , Gifts and DVDs, DVDs and Gift Vouchers. 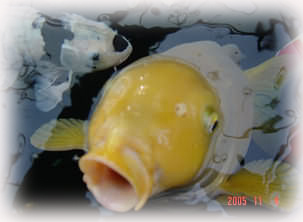 See our page on How to identify and eradicate the most common Koi parasites. Check out our New low costs Ozone systems - available for all sizes of Koi ponds. New Nexus 220 and 320 now available! See our page dedicated to Nexus filtration for full details. New - Common Myths and misconceptions in Koi keeping. New - Images from Japan to inspire you! Find out How to build a modern Koi pond. See the amazing new Rotary drum filters. Check out our updated pages on Koi pond plumbing - we now explain the do's and dont's of how to plumb your pond and how to use pipe work and fittings. See our new and comprehensive range of Koi health products Here.